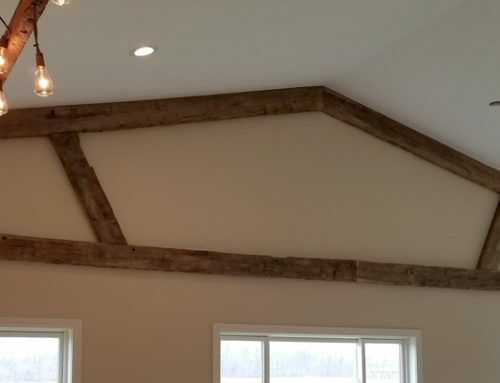 An Amazing Box Beam and Decking Combination! 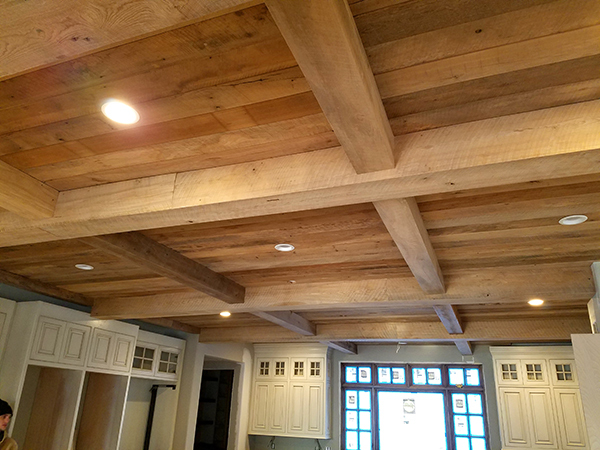 We love this combination of beams and decking and the way it adds so much warmth to this kitchen. 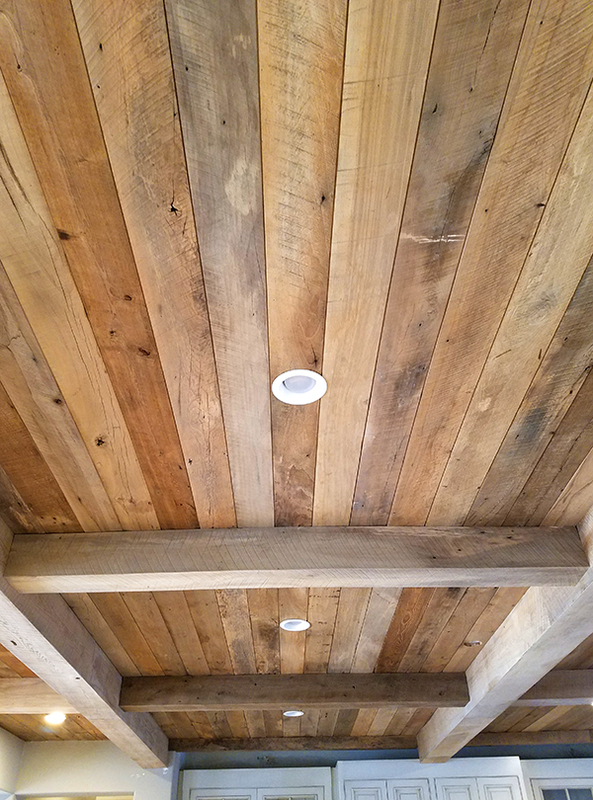 The reclaimed wood is a mix of various hardwoods highlighting the original circle sawn texture and natural patina. 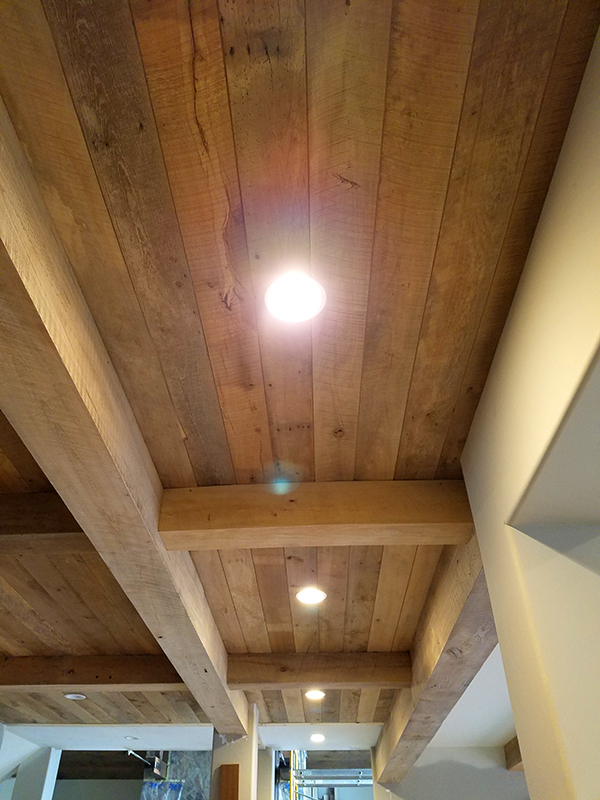 All the wood is custom cut specifically for the space so that no end joints are visible. 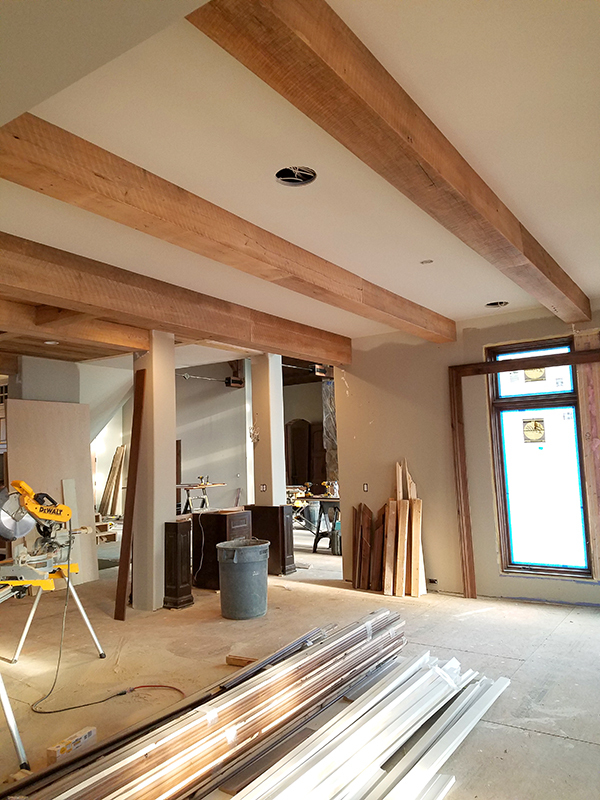 The box beams include both the larger beams running one direction and the smaller accent beams running perpendicular. 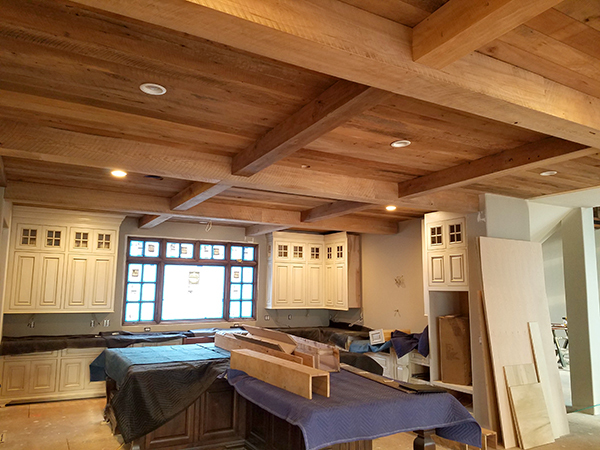 Box beams are a great accent to ceilings as they have the appearance of structural support beams without the heavy, full-beam weight and challenge of installation. 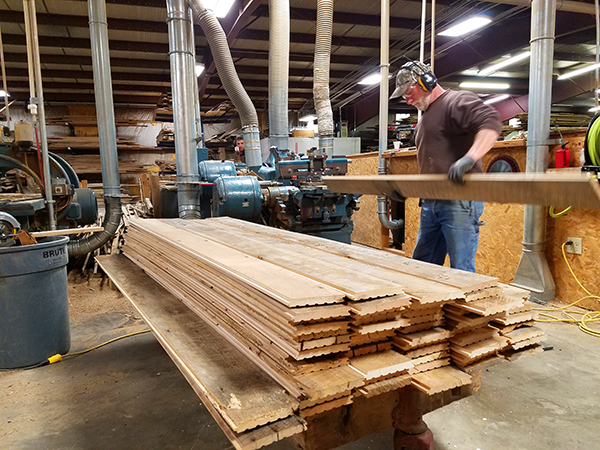 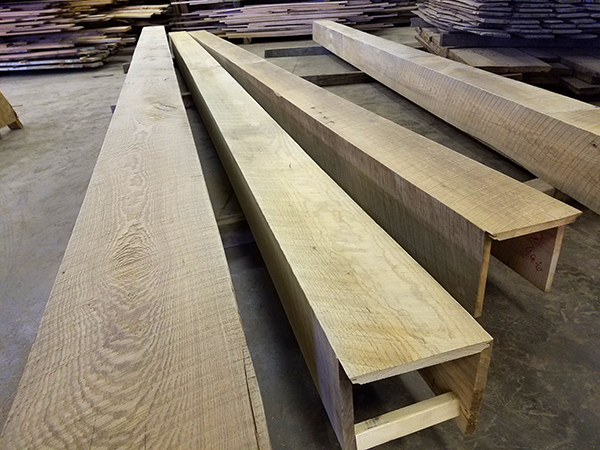 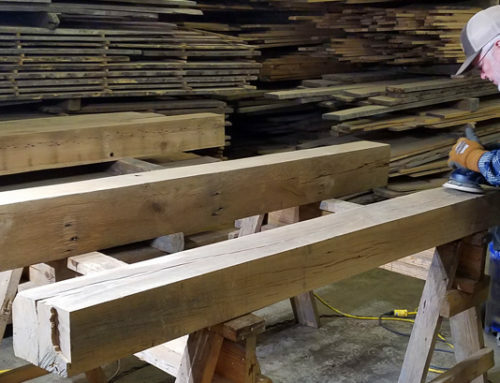 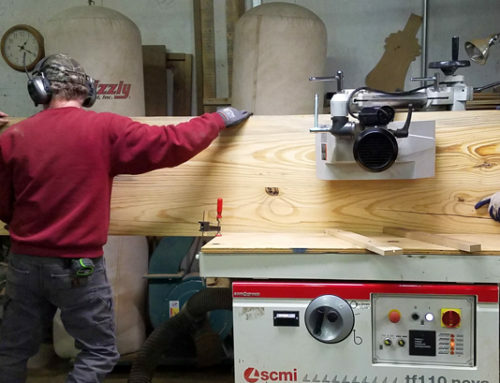 Take a closer look at this project below and the photos highlighting the reclaimed wood being milled in our shop, before and after, and details of the final install. 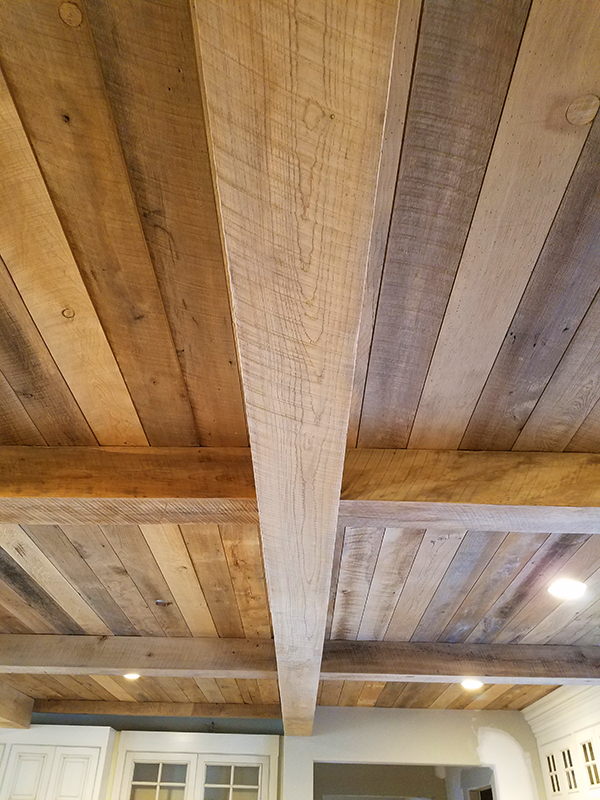 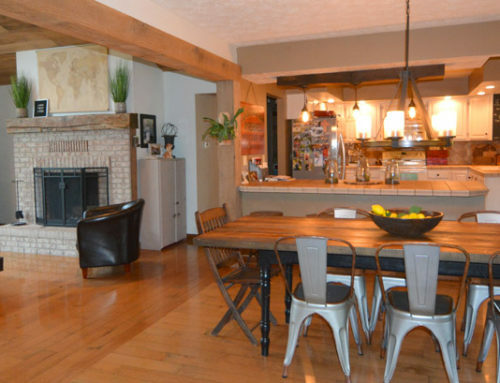 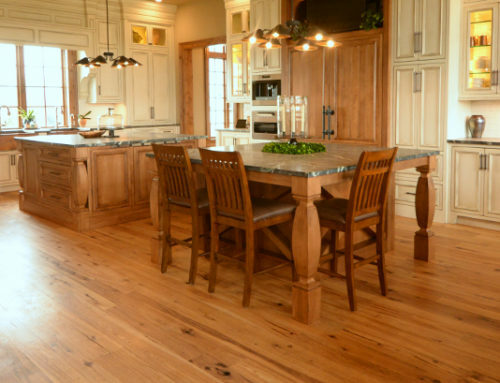 We’d love to help make your ideas for a reclaimed wood renovation or new construction project come to life, contact us today for more information!